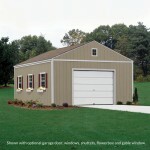 Garage Shed - LOTS of Space for Storage, Gym, Guests.. More! A large storage shed with no limits. 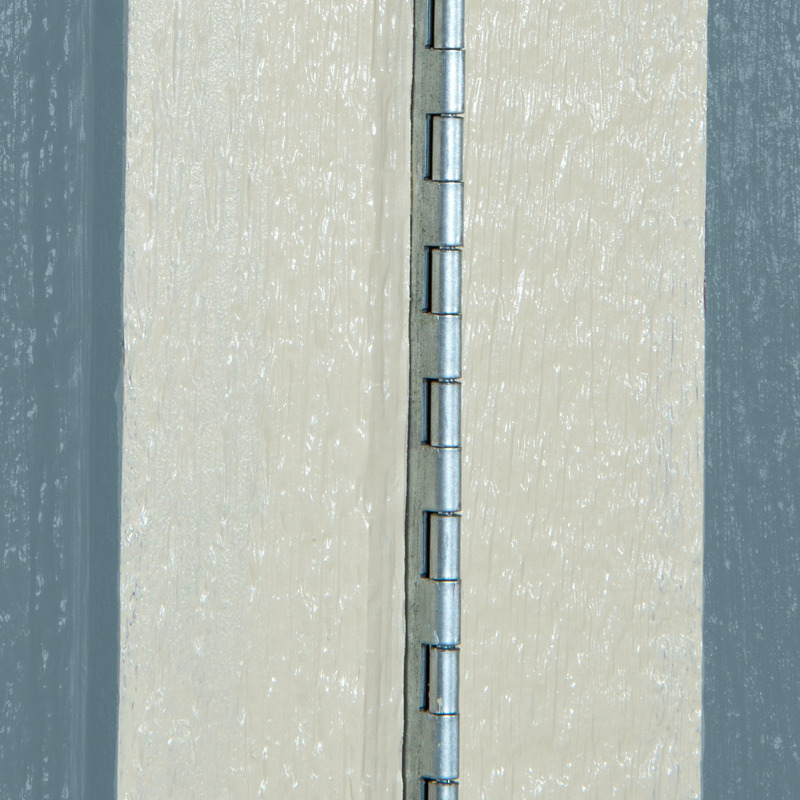 Continuous piano hinges prevent door sagging, even after year’s everyday use. 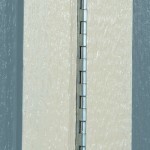 Aluminum threshold protects your entry way. For your large storage purposes, you’ll find the Aspen series’ garage-style sheds fit your every need. 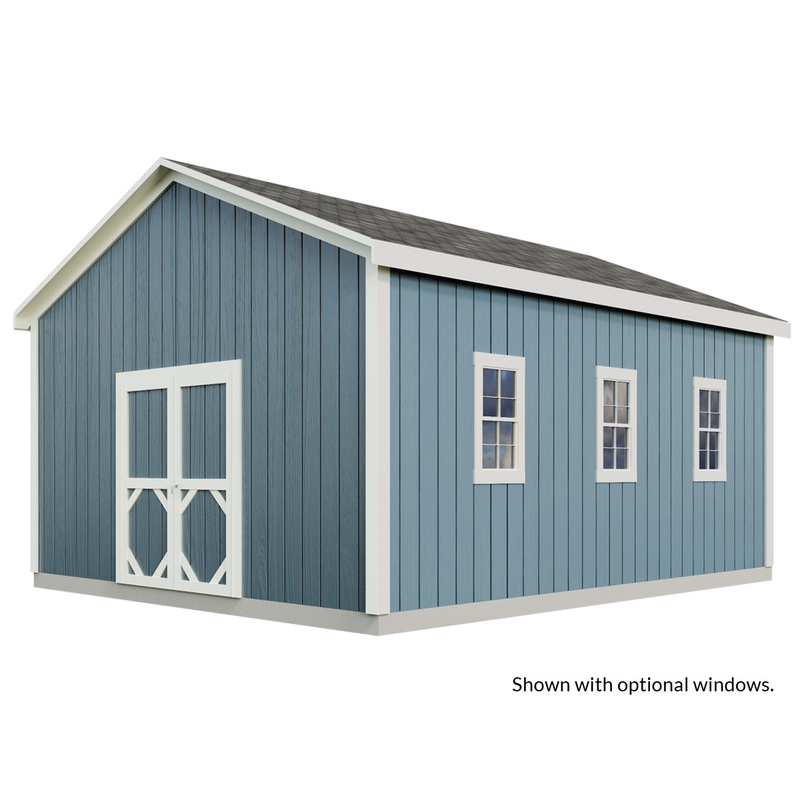 Complete with the option of a handy loft, these oversized wooden sheds can accommodate heavy-duty tools, vehicles, boats, exercise equipment, or large-scale art or work projects. 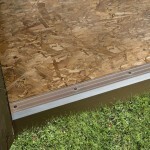 Your new shed comes with delivery, and convenient, professional installation. You choose from 16'x16', 16'x20', and 16'x24' sizes, and you get 64” wide steel-reinforced doors, so you can wheel your heavy equipment, vehicles, or other projects in and out with total ease. Of course, the Aspen series comes fully primed and ready to paint in the color of your choice. 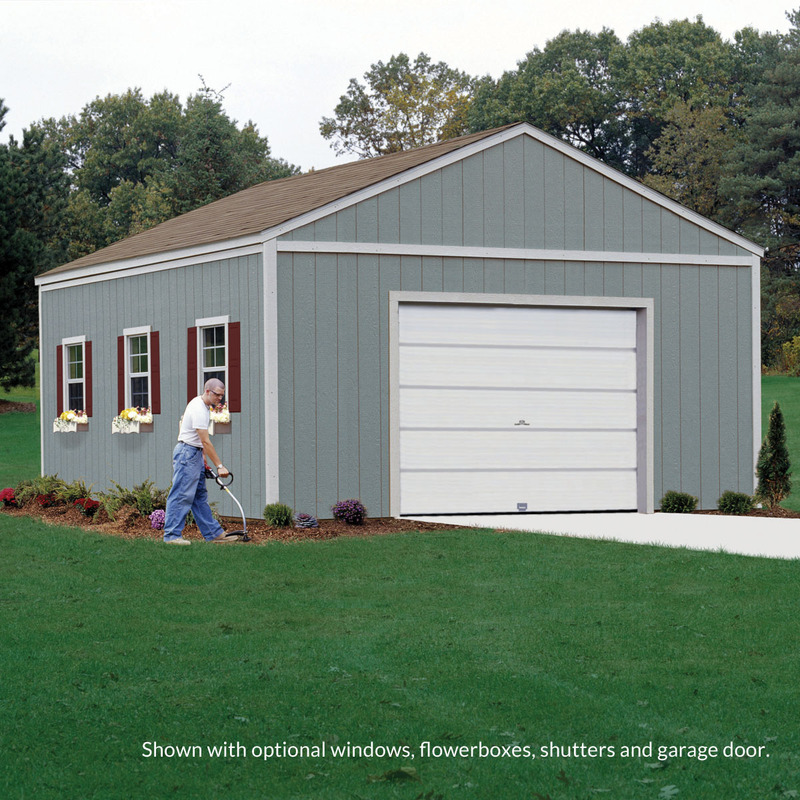 With strong 2x4 construction that holds up to any weather, and a 10-year warranty; your new Aspen garage shed is the spacious, durable option you’ve been looking for. Let your imagination run wild. Many folks use the Aspen garage shed as large-scale workout spaces, full-sized yoga studios, or even backyard gyms. If you’re an artist or mechanic, the Aspen series gives you the space you need to get your hands dirty and delve into your work. We’ve seen folks use these sheds to create car mechanic garages, professional sculpture studios, sound recording studios, dance facilities, and yes – deluxe guest houses and storage spaces. 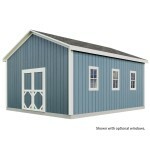 Your large-scale shed, complete with optional loft, puts opportunity at your fingertips. It has potential as the perfect workshop for the do-it-yourselfer. 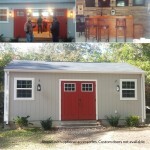 Add lighting, windows, ventilation and you have an ultra-affordable workshop – right in your backyard. No more feeling cramped in the house, no more searching for a spot for your big projects, and no more wishing you had enough room to meet your specific creative, work, or relaxation goals. Get your Aspen shed garage today, and live the lifestyle you’ve been searching for. 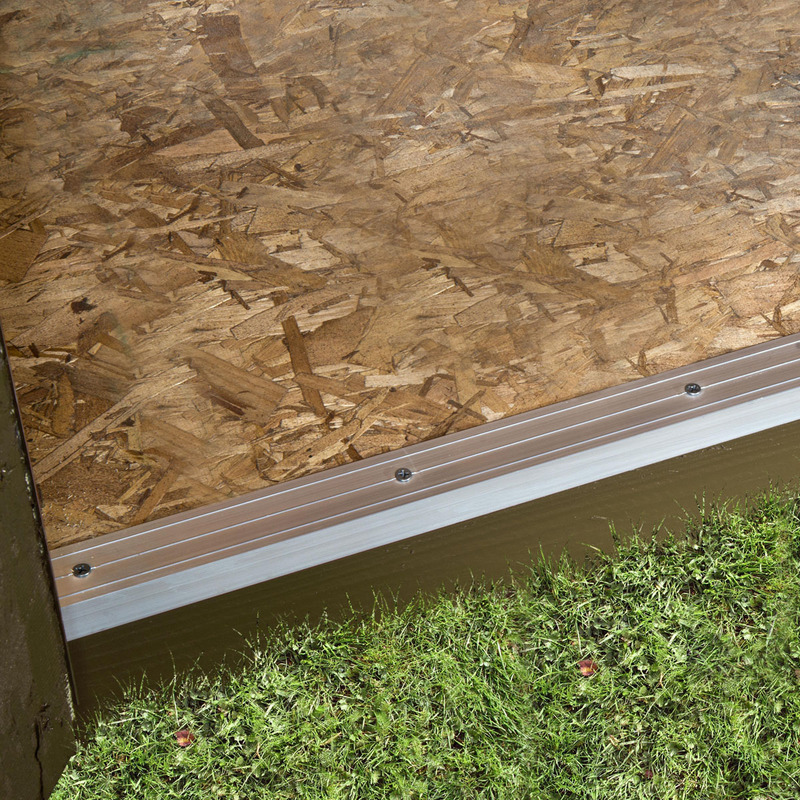 The Aspen is also a great solution for garden storage. With standard 64” double doors and the garage door option, storing large tractors, weed trimmers, wheelbarrows and lawnmowers is simple and convenient. Consider adding a loft for extra storage space of seasonal items. Transform your space into a personal sanctuary. Good news, no one has to be left out. 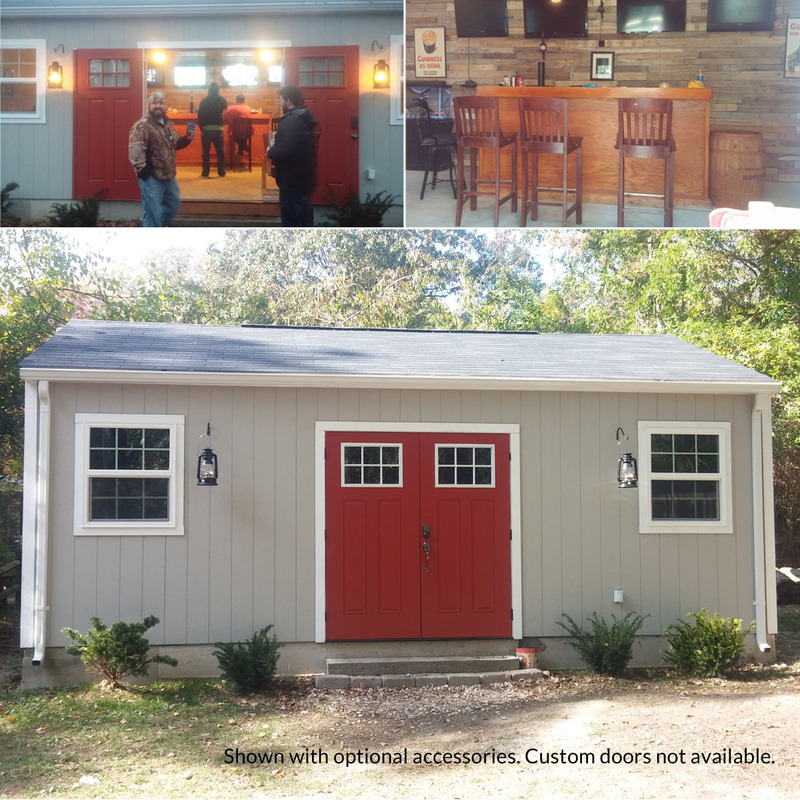 Turn your space into a man-cave or she shed. We can install a large space in your backyard that you can call your own. You deserve it! Common Size (w x d x h) 16' x 16' x 12'-10" 16' x 20' x 12'-10" 16' x 24' x 12'-10"
Peak Height 154" 154" 154"
Side Wall Height 96" 96" 96"
Assembled Weights 1816 lbs. 2006 lbs. 2216 lbs. 3ft. of clearance around your entire shed is required. 4ft. if shed is larger than 160 sq. ft. The unit was built entirely on site. It started out a little rocky due to miscommunication between branch offices. A call to Brian got everything straightened out to our satisfaction. The builders, Matthew and Seth were great from the start even through the problems that needed worked through. The workmanship is excellent! We gave it four stars because my husband is disappointed in the thinness of the siding. Due to the size shed in my city, we had to get a permit. This required some work and the Tempe office had horrible follow up communication. We had issues with them on a few aspects of this job. Lastly, the builder that constructed the shed complained daily while on-site. Hey wasn't happy about something always and my fiance was very nice to him all along. Tons of nails left in our dirt afterward which isn't good with two large dogs. Love the product just not getting there. Poor customer service. cost was good , 2 men had it built in one and half day , treated lumber for all of flooring 2x8 , 2x6 on roof , great door and lock. I really was not expecting this to be built this well for low price I paid. I'm very happy with it. This "SHED" should be called a "STORAGE BUILDING"!!! Shed sounds so derogatory for this well built building. THIS CAN BE MY MAN CAVE!!! I'm in Florida and it would take a Cat.5 to waggle it!!! David Craig of Backyard Buildings coordinated the building of the unit and is CUSTOMER SERVICE PERSONIFIED!! He jumped thru hoops to get it done. Nice shed, some improvements needed. My 16 X 24 shed built by Backyard Buildings ended up as a nice building after I complained about the person that was sent out to build the building. Accusations were made by the builder, unfounded and very non professional. Some of the material used could be improved on like the doors and window trim. All in all it did come out a nice building especially after I made some personal improvements. All shed materials and and plans were excellent. The builder didn't get the floor and frame flat and the side walls had a 3/4" gap at the middle between the floor and the wall plate. Also, after taking a closer look when it was completed I noticed most of the siding nails were protruding from the surface. they hadn't penetrated flush with the panels. I had to go around and pound every nail in all the way by myself as well as leveling the floor and re-attach the wall plates to it. Everything would've been perfect had the builder been paying close attention. The shed is a decent shed for the money. I had mine installed late in the season during a cold snap. The installers repeatedly said how much they did not want to be working. They complained about everything. AS this was a large shed, they built it from scratch. Some of the wall studs they used were so warped and twisted I needed to double them up so that the siding joint had something to nail to. On joints that the siding did not come together well, the installers just used LOTS of extra nails. If you do not mind doing some touch up work, then this is a good building and company to go with.